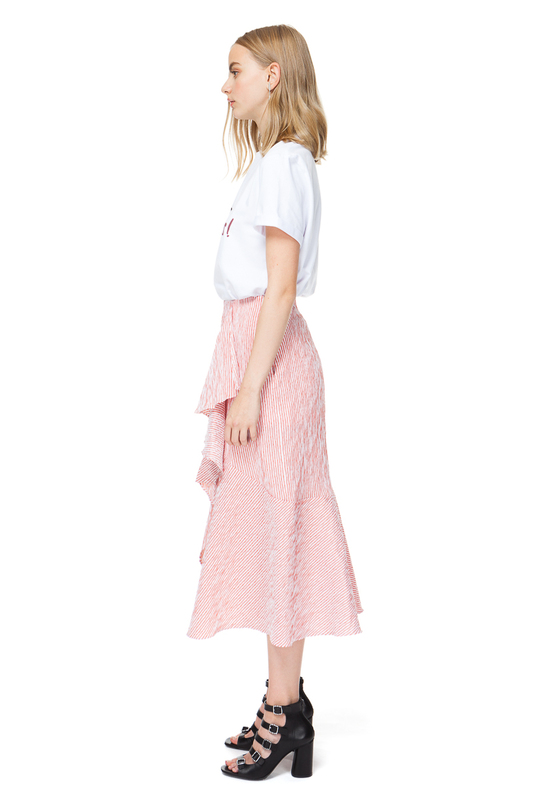 Striped midi skirt in burnt orange with side pockets and a front split from wrinkle-resistant cotton blend. 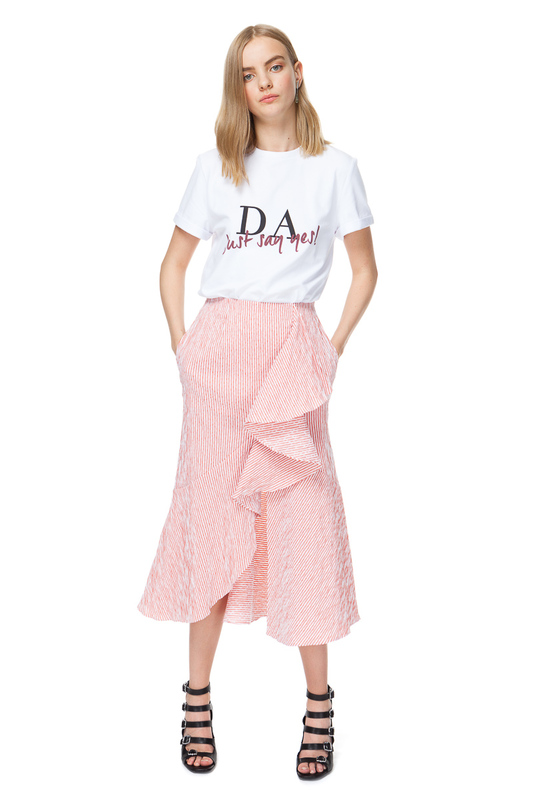 Playfully trimmed with a voluminous ruffle, this summer skirt features an asymmetric split that reveals your legs when you walk or sit. Tuck in your T-shirt to highlight the waistline or wear it with our matching camisole top.